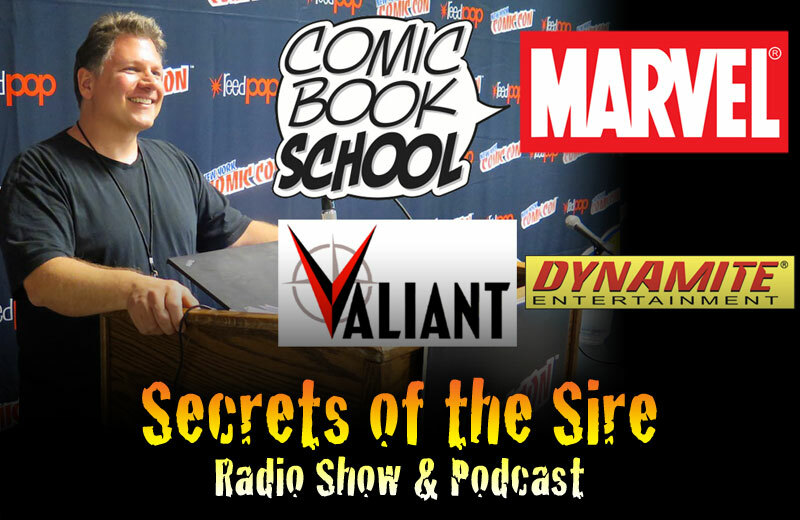 Recorded LIVE at NYCC 2017: Comic Book School’s own Buddy Scalera welcomes Marvel Editor Darren Sanchez, Valiant E-I-C Warren Simons and Dynamite Entertainment’s Joe Rybant to the podium to give you EXACT instructions on the “how-to’s” and “do-not’s” to breaking into comics. These are the things you hear at panels and at workshops all over the country. If you plan to pursue a career in some form of the creative arts, you will meet rejection. It is inevitable. Sometimes it’s you. Maybe your art isn’t quite “there” yet. Maybe your writing or illustration just needs a bit more practice. Sometimes it’s them. They are looking for X and you are selling Y. You might be able to do XY and Z, but what they see now isn’t what they want. Sometimes it’s just bad timing or bad luck or just a bad day for the person considering your work. Or a combination of all of the above. You’ll never really know. I’ve been working professionally in comics for almost 25 years, and I’ve never seen the industry this fragmented. I try to keep up with the independent publishing landscape, but there are just too many publishers for me to even list them all on my Comic Publisher Submission Guidelines page. NEXT WEEK: We’re back! We review Marvel’s Punisher Netflix show and look ahead to the year to come in pop culture!